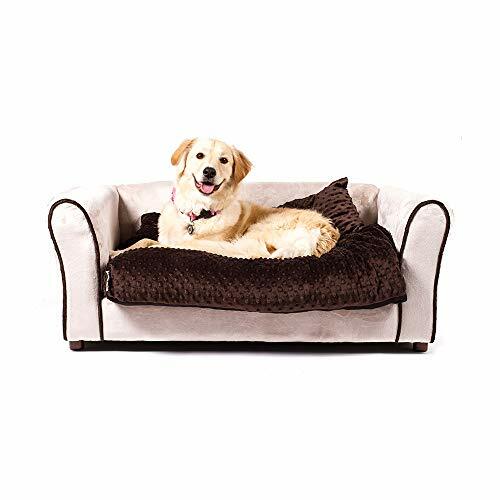 For a touch of elegance and loads of comfort, westerhill sofa dog bed features a combination of two types of min KY fabrics. It is upholstered with min KY fabric and contrasting piping around the arms of the sofa. A separate reclaimed memory foam cushion is covered with ultra soft min KY dots fabric to complete the sofa beds stylish appearance. For dogs up to 40 lbs.